What Does Film & Animation Mean? 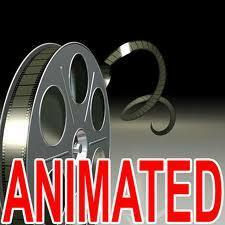 Film & animation is the art of filmmaking and animation. The discipline involves creating film through traditional or digital means and animation using the latest computer animation technology. Some of the most popular examples of film & animation techniques can be seen in animated features such as Ice Age, Cars, Shrek 2, Finding Nemo, Toy Story, and The Incredibles. A typical Film & Animation BFA degree program requires successful completion of a wide variety of film, video, animation, and production courses. Students will create several short films or animations during the course of the program, so it is important that they also master a variety of programs such as 3D Studio Max, After Effects, Flash, Director and Photoshop, Final Cut, and Avid. Coursework may include Introduction to Film Production, Digital Production, Story and Structure, Computer Imaging, Film Language, Single-Frame Motion, Animation, Scriptwriting, Scriptwriting for Animation, Film/Animation History and Aesthetics, 2D Computer Animation, Foundation Drawing, 3D Modeling Animation, 2D Design, 3D Design, Live Action Pre-Production, Production Processes, Computer Animation, 3D Computer Animation, Animation Tools, Writing the Short Film, Dramatic Structure for Film/TV. Students will complete multiple workshops such as advanced animation and advanced production. During the final year of study, film & animation students will complete a senior project which might consist of a demo-reel, portfolio or other creative work. In addition, students will have the opportunity to complete an internship program which offers hands-on training, experience in the field, and the chance to make valuable contacts in the industry. What Can I do with a Degree in Film & Animation? Film & animation artists have many of the same career opportunities as traditional animators, digital animators, traditional filmmakers, and digital filmmakers. Possible job titles include animator, computer animator, digital animator, 3D animator, 2D animator, environments designer, storyboard artist, storyboard supervisor, character designer, concept artist, visual effects artist, layout artist, art director, production designer, scriptwriter, producer, director, digital artist, feature, documentary filmmaker, animated filmmaker, digital filmmaker ,multimedia animators, digital video editor, videographer, graphic designer, broadcast journalist, game designer, and instructor. Some film and animation artists may choose to work outside of the entertainment industry. If you choose this path, you can expect to find a number of unique positions in a wide range of industries including architecture, aerospace, engineering, the medical field, criminal justice & forensics, home building & design, corporate training, and more.